Thank you for signing the Guest Book for Henry Faust. Please take a moment to sign the Guest Book for Henry Faust. I had No Idea, May You rest in peace Old Friend and neighbor, I Thank You for fixing My Lawn Mowers. 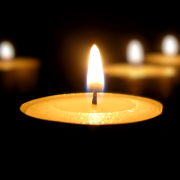 We are very saddened to hear about the passing of your Dad and Grandfather. Michael was a classmate of Henry's and naturally Rose knows the both of you! God bless all of you, and May he Rest In Peace! JONATHAN AND TRACY: DEEPEST SYMPATHY. MAY HE REST IN PEACE. Send me a daily email when updates are made to the obituary or Condolence page for Henry Faust.